The Annie's Fiction Series are written by a variety of authors. 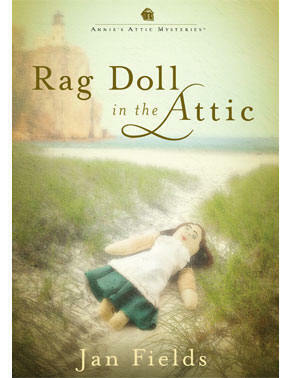 I have written seven books in the first series, ANNIE'S ATTIC MYSTERIES, and five in another, ANNIE'S QUILTED MYSTERIES. These series are sold by subscription at Annie's Fiction Series! More series are in the works so I'll continue to have books coming out with this line. “This was a thoroughly enjoyable read---containing interesting jewelry details, suspense and intrigue in a totally believable setting. Jan Fields is a great author. 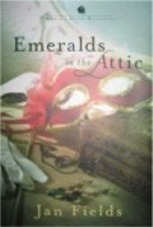 I hope she stays on board for more titles in this series.” – an Amazon reader from Oregon about Emeralds in the Attic. “I just finished the "The Valise in the Attic." Wow "Jan Fields " is my fav of the authors you have doing this series. That book was terrific. 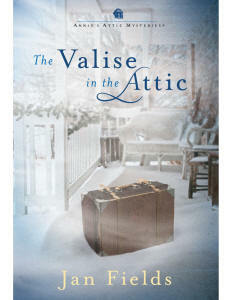 Love it, love it.” – A Facebook reader about Valise in the Attic.